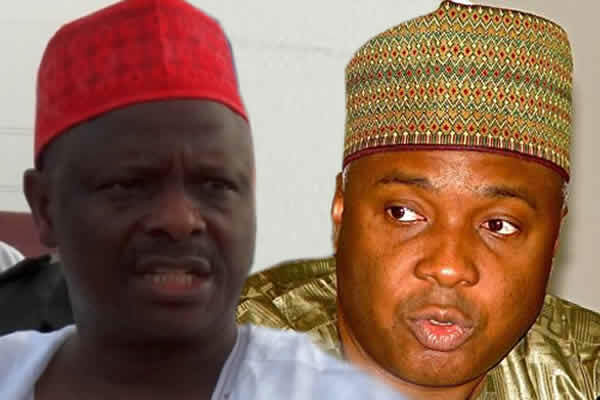 Chairman, Board of Trustees (BoT) of the Peoples Democratic Party, PDP, Senator Walid Jibrin on Tuesday called on Senate President, Bukola Saraki and former Kano state governor, Rabiu Musa Kwankwaso to dump the All Progressive Congress, APC. Jibrin reiterating that the presidential candidate belongs to the north said the doors of the party was open to all returning members. Jibrin disclosed this at Legacy House, the party’s campaign headquarters while addressing a PDP youth group, Ward-To-Ward that paid him a courtesy visit. The party also called on other prominent chieftains that dumped the PDP for the All Progressives Congress (APC) in 2014. He said “We are also expecting a big return of some of our former governors, our National Assembly members and very renowned party followers. And when this is done, which will be done very quickly, then the party will now come to its stable stand. “We should encourage everybody who has left us to come back and reunite with us. We will not hate anyone or deprive anybody. It is a good omen for this party that we should receive people. “We are therefore calling on the Senate President Bukola Saraki, Rabiu Musa Kwankwaso and all our former legislators who have left this party to come back quickly”. The BoT chairman also revealed that a special reconciliation committee headed by a former President of the Senate, David Mark has been created following petitions concerning the emergence of Uche Secondus at PDP national convention. “A committee headed by David Mark committee has been mandated to mediate in grievances among BoT members that disagreed over the choice of chairmanship candidate at the December 9. “Some of the BoT members had openly taken sides with their preferred candidates, a divisive development to erode the neutrality of the BoT as the conscience of the party”, he said. Jibrin regretted that members of the BoT had remained neutral before the chairmanship campaign, but that along the line, some members decided to give open support to some aspirants. This he said, had left the BoT members divided. “However I commend the role played by the party’s governors in the convention in which Prince Uche Secondus emerged as National Chairman,” Jibrin added.